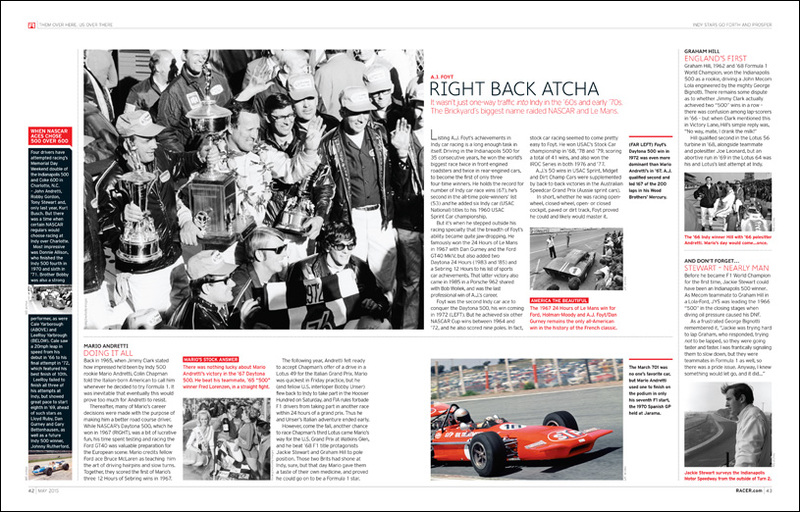 There was one moment on his first visit to the Racing Capital of the World – a fact-finding mission in October 1962 — when Jimmy Clark’s pride got the better of him. He was not impressed at having to take Indianapolis Motor Speedway’s compulsory Rookie Test. A driver used to the perils of piloting a motorized cigar tube around Spa-Francorchamps and the Nurburgring was understandably peeved at having to build up to his IMS v-max at steady 10mph intervals. the enforced speed limits exactly, and (b) throwing a completely unadapted 1.5-liter, 186hp Formula 1 Lotus 25 around the Speedway at an average of 143mph – just 7mph off Parnelli Jones’ pole time from that year’s “500.” It wouldn’t be the last time Jimmy’s precision and speed at the Brickyard would impress onlookers – even Indy’s legends. One racer who set out to emulate Clark’s driving style was a young Alain Prost, who’d recently turned 13 when Jimmy was killed. 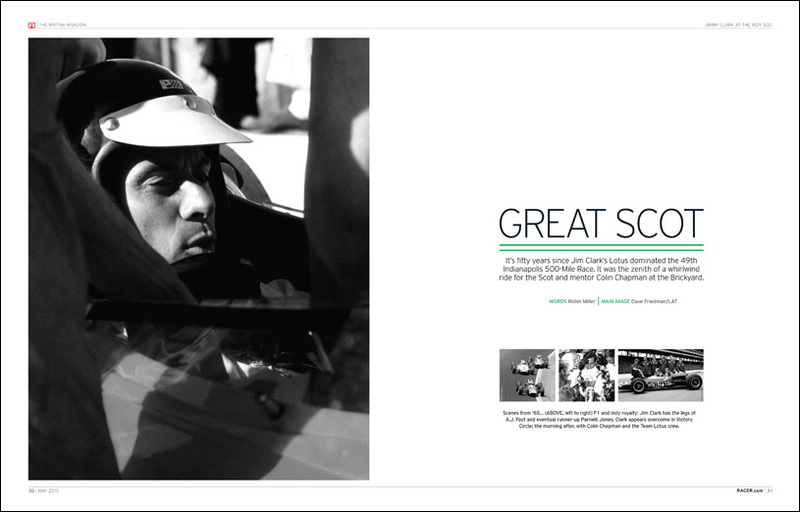 Now 60, it’s time to pay tribute to an F1 ace who was easy to overlook in his era and is often forgotten about today. Perhaps Prost didn’t spend enough time seeking publicity or acclaim. Sure, he had a well-formed ego – all top racers do – but he had too much class to show it. Alain’s quiet charisma is as effortless as his driving appeared to be. NASCAR’s equivalent would surely be Jeff Gordon, whose first full season in Cup coincided with Prost’s last year racing F1 and who, like Alain, is a four-time champ. It’s strange to reflect on the fact that Jeff’s last series title came in 2001, especially as he’s won 34 races in the 13 seasons since then! But more important than his 92 total wins is how he helped changed the profile of NASCAR in this country. As car No. 24’s most famous ace heads towards his career sunset, so RACER enters its 24th year bathing in the reflected glory of some of motorsport’s biggest heroes. We trust you’ll enjoy our anniversary issue.